We were at Diamond Hotel last weekend for hubby’s company summer outing. Hotel food is expensive, so we decided to have dinner instead at the nearby Aristocrat Restaurant. 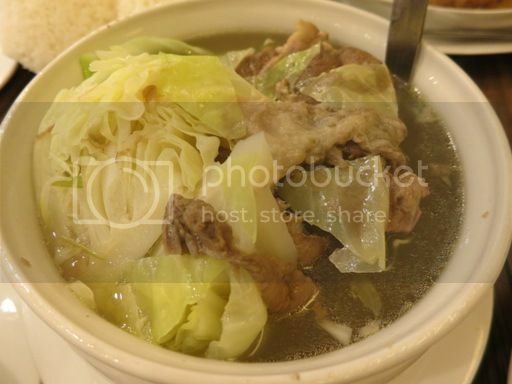 We ordered Bulalo, 3-pc. Chicken Barbecue with Java Rice, Pork Adobo, Black Forest Cake, Macaroons and Aristocrat Iced Tea. Hubby is a meat lover by nature, so I wasn’t surprised that he ordered this Bulalo, ox shin and bone marrow with veggies in beef broth. We liked that it was served hot and that the meat was tender. I would have enjoyed this more, however, if it was served with chili soy-lemon dipping sauce. 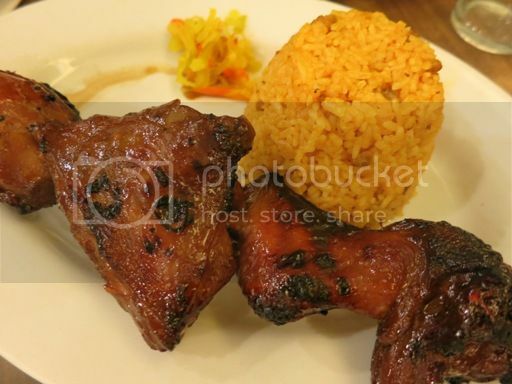 The Aristocrat is famous for its Chicken Barbecue, so it’s a must to order this. This is marinated chicken grilled on a skewer and served with Java rice, Java sauce and atchara. As you can see, this chicken barbecue was grilled to perfection; it wasn’t charred or undercooked. The chicken was moist, and the marinade was delicious! They didn’t give us Java sauce, though, so that was something I missed. This was actually my favorite! 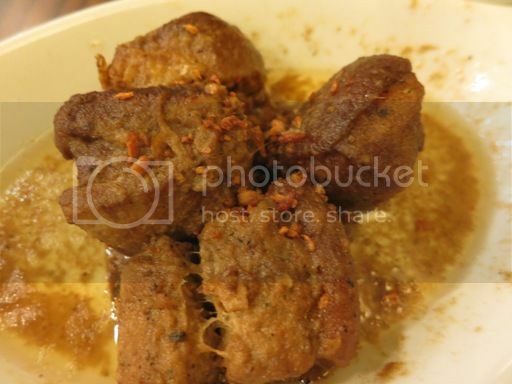 Pork Adobo is pork chunks simmered in vinegar, soy sauce and spices. You could really taste the savory goodness of adobo in every bite. I really loved this! The little boy requested for this Black Forest Cake. 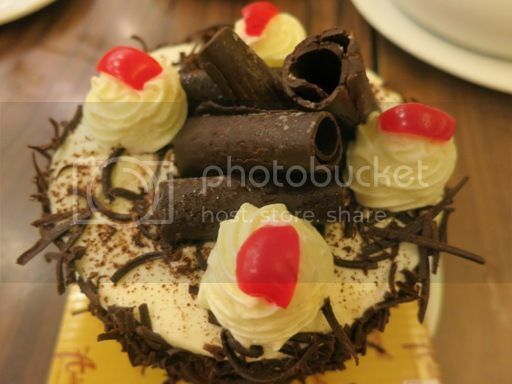 It’s a 3-layered choco sponge cake with whipped cream filling and icing topped with chocolate curls and cherries. He and his Dad ate most of this. I only had a spoonful of this cake plus a slice of cherry. I missed eating macaroons, so when I saw these, I made sure I’d buy a pack. 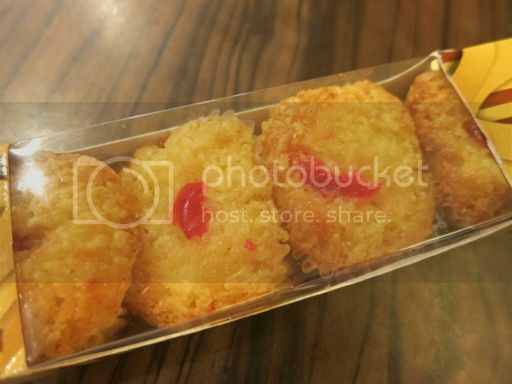 Macaroons are sweet preparations made of shredded coconut and condensed milk. I only ate one macaroon, however, because I found it a bit too sweet. I’d like to try their Ensaimada Malolos next time. 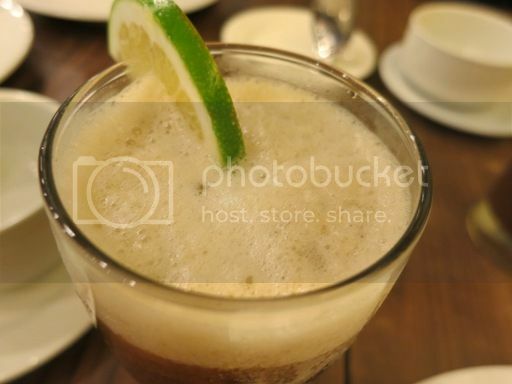 This foamy Aristocrat Iced Tea is a must-try, too. It was refreshingly good! I must admit, I ate more than my usual that night simply because I couldn’t resist the tempting treats on our table. We shouldn’t have ordered a lot! Lol! This entry was posted in Chicken Barbecue, The Aristocrat Restaurant. Bookmark the permalink. I love their chicken bbq!! Same here I love their chicken bbq. Aristocrat has only few branches, namimiss ko na kumain dito. I haven’t eaten at Aristocrat for sometime except for when we attended that fun birthday party. been ages since i ate at Aristocrat! everything looks so tempting! Wow! affordable price. Good thing your family opted for dinner outside and discovered their yummy goodness. Macaroons at its cheapest price, yummy! I will try their adobo when I have the chance to eat at Aristocrat!